Radon is Dangerous: After smoking, radon is the next leading cause of lung cancer as reported by the Environmental Protection Agency. Over 20,000 Americans die annually from lung cancer caused by radon. 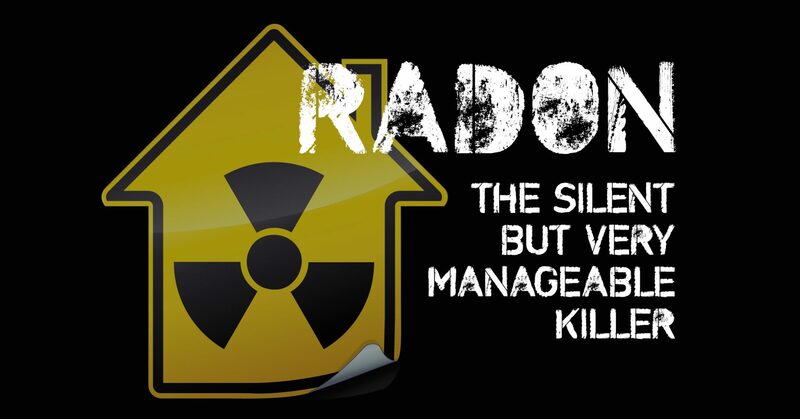 People who live in homes with elevated levels of radon inhale the gas’s radioactive particles. Lung cancer results from the particles becoming trapped in the lungs. Smokers who are also exposed to high levels of radon face an increased risk of contracting lung cancer. Due to the health risks associated with radon, the United States Surgeon General advises that everyone have their home tested for radon. Homes With High Levels of Radon are Common: You may be surprised to learn that homes with elevated levels of radon are common and are found throughout the United States. Measurements for radon are expressed in picocuries per liter, which is abbreviated as pCi/L. Household radon levels at 4 pCi/L or greater are unsafe and action must be taken to mitigate the gas. According to EPA estimates, approximately one out of every 15 homes has an unacceptable radon level of 4 pCi/L or higher. You Can Protect Yourself from Radon: The first step in protecting yourself and your family is to have your home tested for radon. While you could try to do the testing yourself, it’s not a good idea. Radon testing is complicated and professionals have the equipment and experience to conduct a test properly. Since it must be performed under precise conditions to receive accurate results, hiring a radon testing professional is your best option.